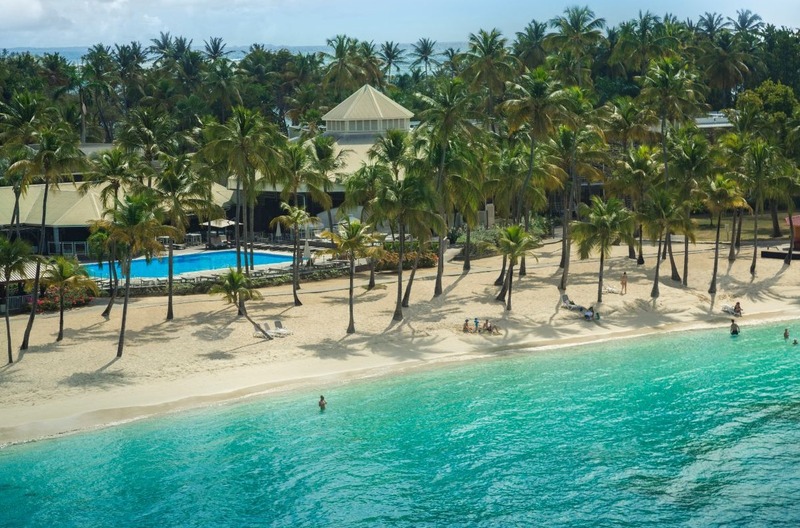 Club Med La Caravelle is located on a private beach on the southern coast of Grande Terre. The family-friendly, all-inclusive Club Med La Caravelle features 299 spacious rooms and suites in beautiful bungalows along one of Guadeloupe’s finest beaches. Relax by the pool, or participate in a wide array of activities offered by the resort, including water sports, beach soccer, archery, and flying trapeze. Rooms at Club Med La Caravelle are located in different buildings throughout the resort. Each room comes equipped with a flat-screen television, hair dryer, ironing kit, mini fridge and safe. Some suites have furnished balconies. Restaurants at Club Med La Caravelle include buffet-style Hibiscus, and Biguine for waterfront dining. Two bars serve cocktails and wine. A range of kids’ programs are available for ages two through 17. Customized activities are offered for each age group, including puppets and dress up for the youngest group, arts and crafts and nature lessons for ages four through 10, and sports and movies for teens. Adults will enjoy wellness treatments in the overwater massage palapas. Club Med La Caravelle is within walking distance of seaside village in Sainte-Anne. Fly into Pointe-à-Pitre International Airport (PTP), on Grande-Terre in Guadeloupe. Club Med La Caravelle is located about 40 minutes from the airport. Transfers are included if the airfare is purchased through Club Med. Visit Club Med La Caravelle’s website for more information.